You’re coming up on the end of your high school career. 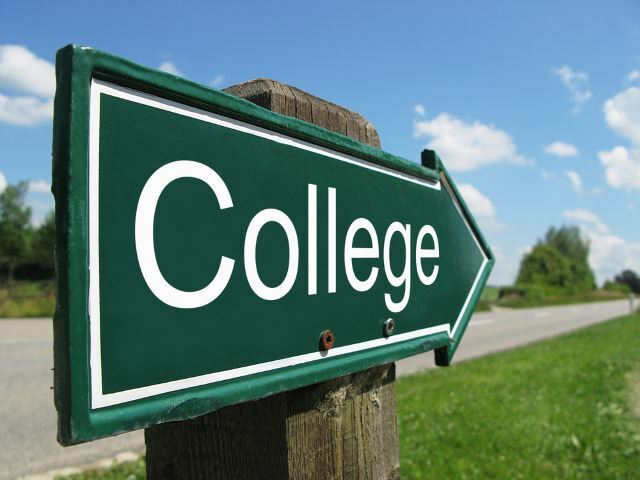 Your family, friends, guidance counselors, and teachers keep talking about college applications and the importance of your college experience. Regardless of everything positive you’re hearing about a four year degree, you can’t help but think that there might be college alternatives for you. Know that you very well may be right; there are plenty of other practical options following high school. Colleges and universities require you to pay tuition that can get outrageous quickly. Factoring in costs of courses, living arrangements, transportation, books, and other supplies means that you, like most other students who elect to enroll in college, may be going into debt fast. Before you decide what you want to do for the rest of your life, you may want to gather some practical experience. Job hunting online and networking through connections from high school can go a long way in terms of getting you a job interview. You’ll gain experience with the interview process, presenting yourself professionally, and ultimately, in a field of interest. You might spend a couple years trying out different positions in the working world before you settle on something you’d like to pursue long-term. Down the road, you well might pursue more training for that job in the form of a certificate or a degree. Further, your job may actually pay for part or all of your continuing education, at that point. Lots of companies have education reimbursement programs that you may be eligible for. Taking your time to establish a career path that you love may be worth your while. Maybe rather than diving headfirst into the working world, you do a little of both. You might work part time somewhere that you’ve been working or volunteering in high school while you attend online courses. The online format provides more flexibility than having to be in a physical classroom. Courses of study are often more self-guided; if you are an organized, dedicated, disciplined student who enjoys working independently, this may be ideal for you. Features like webcams, conference calls, and online chat make it possible to interact with fellow students and professors so that you still feel like you’re part of a college environment. All the same support is provided, just in a different format. This allows you to step into college with one foot and keep the other in the working world to make a little money along the way. If you have a specific interest in mind that caters to a particular skilled trades career, like being a mechanic, plumber, carpenter, or electrician, you might consider a trade or technical school. Often these institutions cater to working schedules and emphasize internships and apprenticeships so that you can acquire as much practical application and experience as possible. There is often considerable recognition for people with families or responsibilities outside of the classroom walls so that you may feel like you’re recognized as a whole individual rather than a student. Have you always known that you want to be your own boss? You might begin your post-high school career as a budding entrepreneur. Whether you want to sell a product or offer a service online, you have all the tools to promote yourself and your brand outside of college. Business classes are always available if you decide you’d like to learn more about something specific in the future. This may be especially fitting if you have a solid idea that you’ve been invested in for a long period of time. Bonus points if you have basic tech skills to help you create and maintain a website and social media accounts for marketing and branding purposes. Know that everything takes time to pick up speed and that once it does, there is no limit to your success. Are you craving a little structure after your high school experience? Maybe you have relatives in the military who have shared their experience with you, or maybe you’ve just always known that you’d like to join. Regardless of your particular motivation, take the opportunity to sit down with a recruiter and discuss your options. Recruiting stations are often numerous so that you’re likely to find one very near to where you live. You might even negotiate free college tuition if you’re interested in the future, or a signing bonus to stash a little extra cash. Rather than taking online classes, community college affords you the experience of college courses in a classroom and the ability to work part time, if you so choose. You’ll end up paying less for tuition than at a traditional, four year school, and you’ll likely be able to transfer those credits in the future after you earn your Associate’s degree. This is one of the college alternatives that gives you a bite-sized piece of the experience and lets you stay practical with money and family responsibilities. Maybe you have absolutely no idea what you’d like to do after high school, and that’s okay too. You might consider taking a little time off, sometimes called a gap year to learn more about yourself and discover which career paths intrigue you. Maybe you even elect to volunteer at a community organization or take up a new hobby to delve a little deeper into yourself. Your self-care and personal journey will help to steer you in the right direction. Alternatives to college are numerous and each a completely practical decision. The choice about what to do following high school depends completely on your individual needs; there is no right or wrong way to go about your path. Take your time deciding, and know that it’s never too late to change your mind if you find your interests changing as time goes by. Johnny Rogers and His wife Helena are the owners of College Tidbits – The Online College Planning Guide. If you found this article useful, they would greatly appreciate it, if you would consider Liking their Facebook Fan Page or Following them on Twitter.